Don’t we all want dewy and luminous skin? It is one of the biggest beauty trends right now. We’ve seen it on red carpets and runways, after finally escaping the crazy clown-contour phase. Glowing like a goddess can never go out of style. But the thing is, most of us don’t wake up with perfectly dewy skin (like in the movies), and that’s completely okay. You only need a few products and tools and the right technique to master that glowy (and not greasy) look. Want to know how you can get a lit-from-within glow? Read on! Nothing looks quite as gorgeous as a fresh, radiant face. With a bunch of makeup hacks, it’s easy to achieve dewy, hydrated skin even on the coldest winter days. We’ll teach you all the tricks and techniques you need to conquer this art. A BB cream or a lightweight foundation works best for this look. Try the Purlisse BB Cream or the Laura Mercier Candleglow Soft Luminous Foundation in your shade. Try the Fenty Beauty Foundation Brush for a smooth and even application of your base. Use a smoothing primer that will give your complexion the right kind of boost and glow. The Pur Correcting Primer Illuminate and Glow is a must-try for this sort of look. The most important part of this makeup look is your highlighter. You need to try the L’Oreal True Match Lumi Glow Amour. You can try the Balm Cosmetics Bahama Mama Bronzer for a subtle yet luminizing bronzy glow. Finally, to set your makeup, use a loose translucent powder that you love. We recommend the NYX Studio Finishing Powder to help your makeup stay put and not get greasy. Prepping your skin is key to healthy, glowing skin. If your face isn’t fresh, there’s no way your makeup is going to end up looking pretty. Make sure you cleanse your face thoroughly, exfoliate using a scrub, and apply a pore tightening toner before you go in with any makeup. Use a hydrating moisturizer that absorbs into your skin – and make this a habit! You need to moisturize your skin even in the summer because this will reduce the appearance of blemishes and hydrate any parched, dry areas on your skin. Once your moisturizer soaks in, prime your face for an even, flawless-looking complexion. This tiny step will also help your makeup last longer. 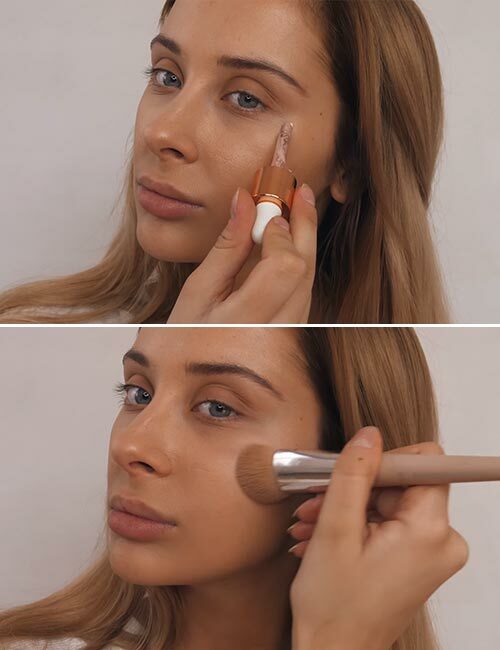 Apply a lightweight foundation using a foundation brush. A little goes a long way, so make sure you get just a little product on and then blend it out really well. If you wish, you can also add a bit of concealer to cover dark circles and blemishes. The most important thing to remember is that you need to let a bit of your skin show for excellent results. After all, we are not going for a cakey look. Use a luminizing, liquid highlighter to add that glow to your skin. 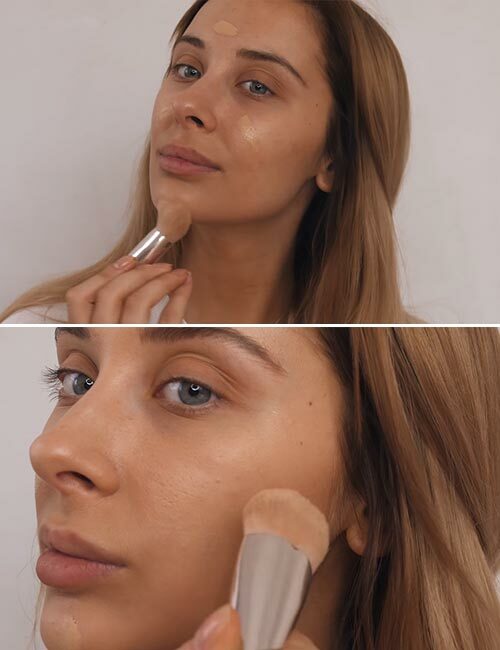 Dab a little bit of your highlighter on your cheekbones, nose, and chin, and blend it out with a brush. Just a little bit of bronzer is enough to define your cheekbones. Make sure you don’t go crazy with it as it won’t look natural. This bronzy look is perfect for flaunting in the summers. Set your face with a translucent powder because this will help you stay glowy and not turn into an oily wreck by midday. Once you finish your base, you can define your brows with a translucent or tinted brow gel. Do your eyes and add a bit of color to your lips to pull the look together. Here’s what it finally looks like! Achieving a dewy glow sans any makeup involves time and commitment to skin care. Ladies, you need to treat skin care as an indulgent, wholesome experience rather than a duty. If you focus on this and the products you incorporate into your beauty regimen, you can work your way to glassy skin from the inside-out. Sounds like a dream, right? 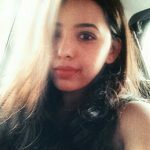 Here’s what you can do to achieve your #skingoals. As much as it is important to follow that CTM (cleansing, toning and moisturizing) routine every day for healthy skin, it is also just as crucial to hit the bed and get enough sleep every night. So, put down your cellphone, stop scrolling through your Instagram feed, and make sure you get at least eight hours of sleep every night. A good night’s sleep will help raise your growth hormones and repair damaged skin cells while slowing down the aging process. You’ll be surprised by how much better you look and feel each morning with proper rest. We can’t stress enough on the importance of SPF on a daily basis. You need to protect your beautiful skin from the harmful UVA and UVB rays of the sun all year round. You will thank your future self as the benefits of using sunscreen every day are felt in the long run. With this mindful step, you can reduce the risk of skin cancer, premature aging, hyperpigmentation, and sunburns. Use a sunscreen with SPF 30 or higher every day, for the rest of your life. Exfoliating your skin not only helps remove that icky barrier of dead skin cells that are clogging your pores, revealing fresh new cells below, but it also helps all your skin care products penetrate deeper into the skin, thus making them way more effective. Exfoliating twice a week will make your skin look smoother, reduce breakouts, and combat signs of aging. If you have sensitive skin, make your own coffee scrub with ground coffee and honey. It works beautifully. Coconut oil is great for everyone (dry skin, oily skin, sensitive skin – all of you). With its many antibacterial properties, it not only makes for a great moisturizer but also for the best makeup remover and deep cleanser. It’s so gentle yet so thorough! You can also use it to reduce the appearance of wrinkles and prevent premature aging. So, if you want that glass-like complexion, make this a part of your beauty regimen and see the difference. Pamper your skin once or twice a week with a clay mask and a hydrating mask to keep your skin fresh and radiant through any season. You can also incorporate a Korean sheet mask into your skin care routine as it does wonders for your skin. It’s also utterly relaxing to give yourself a break with a face mask and a nice movie! You’ve probably heard of retinol from your friends or dermatologist. But have you tried it? Retinoid refers to a family of vitamin A derivatives. It is one of the best ingredients to do everything for your skin – from fading dark spots and blemishes to preventing breakouts, reducing the appearance of fine lines and wrinkles, and resurfacing your skin’s texture. If you are really serious about giving it a shot, consult your dermatologist and get a prescription for Retin-A. You’re welcome! We’ve heard it so much but don’t follow it enough. Drink up, ladies! Water is your best friend. Fill that bottle up, carry it around wherever you go, and keep yourselves hydrated. Drinking at least eight glasses of water a day will help eliminate harmful toxins from your skin and body. You’ll see that your skin looks more radiant and glowy when you’re adequately hydrated with this source of life. Get a grip and cut back on all that sugar, dairy, and fried stuff. It’s okay to indulge in your favorite junk every now and then, but don’t make it a habit. Eat mindfully and treat your body kindly by following a nutritious diet that’s rich in vitamins, minerals, proteins, and antioxidants. You can also take supplements for zinc, vitamin E, and vitamin C if you want to boost your skin’s radiance. Green tea is also a great way to help both your skin and your body. Engage in some sort of exercise on a regular basis, even if that means going for a quick run every morning. Ladies, glowing skin from within is a result of proper self-care. It is normal to have the occasional breakout, but if you’re worried about your skin behaving strangely, it’s always a good idea to fix an appointment with your dermatologist for a quick word. With an all natural dew, you won’t need to wear much makeup and can let your gorgeous skin shine through. We hope you’ve learned something new from this article. If you have any go-to tips for a healthy, dewy complexion, share them with us in the comments section below. 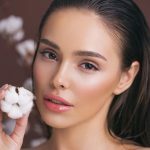 Beautiful Skin Secrets for all skin types!